The Work Breakdown Structure (WBS) is a hierarchical decomposition of the total scope of work to be carried out by the project team to accomplish the project objectives and create the required deliverables. 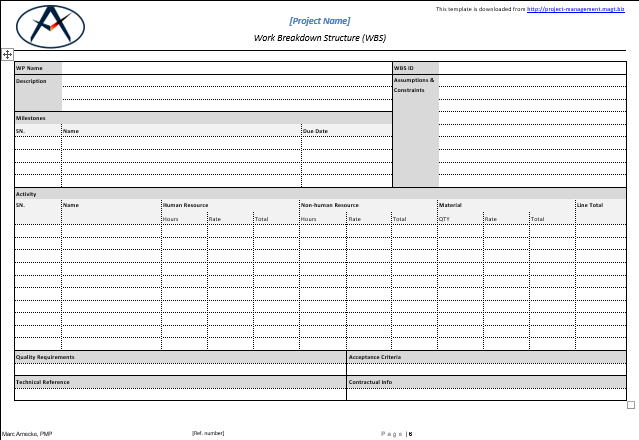 My downloadable work breakdown structure template includes different formats and a WBS dictionary template. 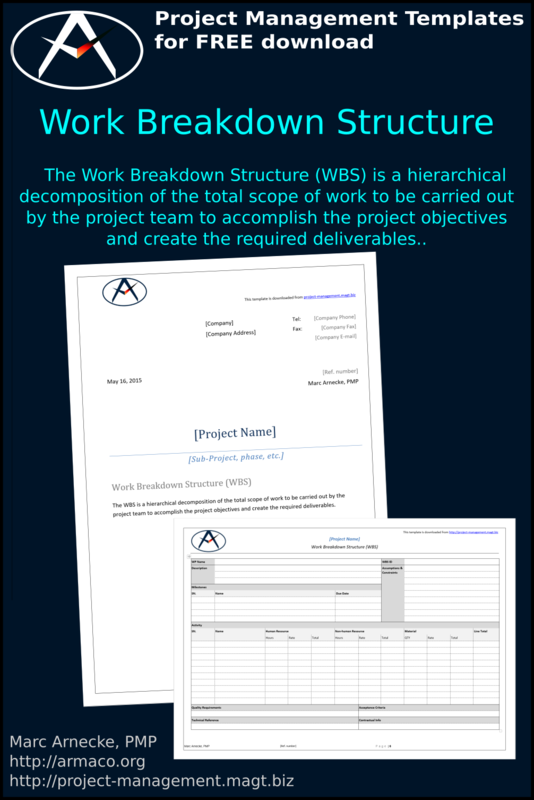 My work breakdown structure template simplifies your work and helps you create your project specific WBS. The Work Breakdown Structure (WBS) is a hierarchical decomposition of the total scope of work to be carried out by the project team to accomplish the project objectives and create the required deliverables. A Work Breakdown Structure (WBS) provides the relationships among all the project deliverables and their various components. The WBS may have different formats depending on the intended purpose. In the WBS all deliverables are listed and broken down into manageable packages with individual activities. Thus it is much easier to estimate required resources, durations and resulting costs, create a realistic schedule, and control each stage of a project. 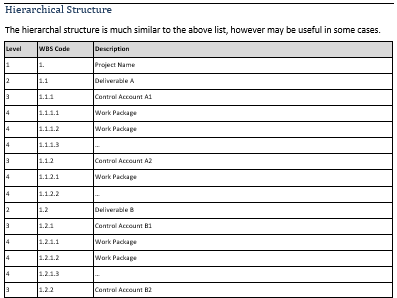 What is in the Work Breakdown Structure Template? Depending on the purpose, the WBS can be formatted in different ways. These different formatting as well as a WBS dictionary are included in my work breakdown structure template. The Work Breakdown Structure (WBS) provides the framework for the schedule management plan and for the cost management plan, allowing for consistency with the cost and duration estimates and resulting budgets and schedules. Each WBS item is assigned a unique code that links directly to the corresponding item in the budget and schedule. 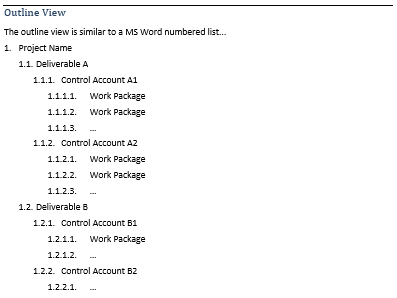 Related detailed statements of works, a description of the item, a detailed description of the procedure and the item ID for each individual WBS component are recorded in the WBS dictionary. My WBS template was created based on the specifications from the PMBOK®6 (PMI). Please let me know improvement suggestions.